I am normally all about peace, love, and happiness. It is my status quo. Until it’s not. I will admit… and keeping it real here… that when things get stirred up, I tend to react. Actually, over-react. And not always in a good way. It’s bad enough to have those “trying” people in your life… whether it’s family or friends or bosses… that drive you over the edge. 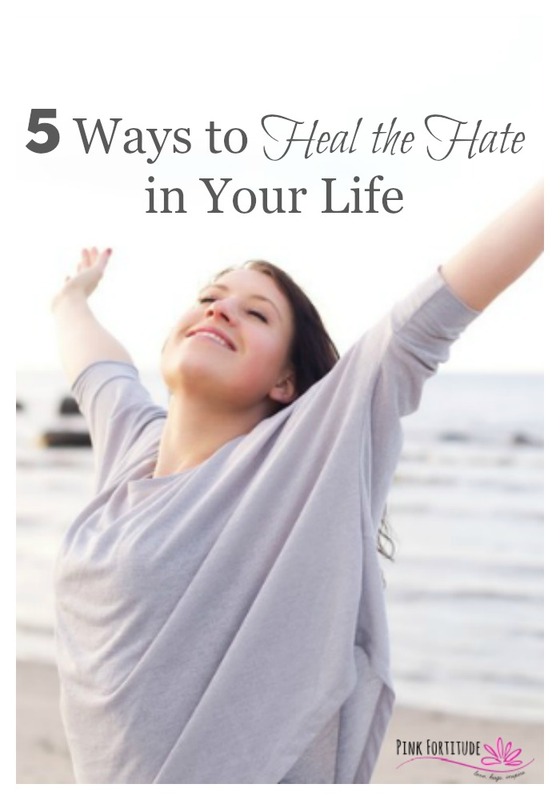 There are days that I want to say, “ENOUGH!” If you are like me, and want to make some positive changes, these are 5 ways to heal the hate in your life. I’ve been on a self-reflective journey the last few months. Partly to try and reduce the stress in my life. Partly to calm myself down. Partly because I don’t like who I become when I react to the negativity. I needed to heal the hate in my own life. The biggest a-ha moment for me was when it finally sank in that you can’t control what happens to you, but you can control how you react. In theory, it totally makes sense and is a great bandwagon to jump on. But in practice… HA! Telling yourself not to react to something negative when it’s ingrained in your personality is like telling Pavlov’s dog not to salivate. I needed to re-train my mind and spirit, and it was actually a lot easier than I thought. It didn’t happen overnight. It’s impossible to wake up and say, I don’t react anymore! WOO HOO! But when several situations presented themselves and my reaction was basically no reaction, I knew it was working and I was heading down the right path. To be honest, I wasn’t planning on sharing my journey with you. It’s embarrassingly private. But one of my triggers is all of this negativity we have around us lately. It breaks my heart to see this happening. But then I looked in the mirror at my own demons and realized that if I can write one little article and bear my soul and change one person’s life, then it’s totally worth it. Because love will breed love. The concept of these 5 hate-healers is super simple, and it’s not a lot of time – just a few minutes a day. A daily commitment is all you need to get started. You may want to incorporate one or two or even all five in your life. I would love to hear your thoughts after reading this article, and if you do embark in this journey, please come back and let us know how you are doing! We live in the age of 24/7 news bombardment. From news stories on TV, to friends posting on Facebook, it’s constantly around us. What are your triggers? Is it the news? Turn it off, or limit your time reading or listening to the news. Is it social media? Take a break from Facebook or limit your time. Set boundaries to limit the negativity you let into your life. When I first learned about meditation, I didn’t get it. I thought meditation was having quiet time. But meditation is used for so much more. I started using Headspace. They give you free sessions to learn and build the foundation before the paid version kicks in. My expectations were low and at first, I was like… meh. Those 10 minutes a day turned into 10 minutes in the morning when I first wake up, and 10 minutes at night before I go to bed. AND THEN, I combined this meditation with prayer and… WOWZA. There are no words to describe the impact this has had on my life. PS – even better if you write down your progress in a Gratitude Journal! Whether it’s your favorite exercise, fun sweaty activity, or even yoga, get moving. Exercise produced endorphins. Endorphins make us happy. Happy heals hate. Sometimes in life, you have to let go. Search your soul and if someone is truly toxic to your well-being, it may be time to say goodbye. In the meantime, Epsom salts baths are a great way to detoxify the body. Even better if you can meditate while in the tub! Without sharing too much of our dirty laundry, there is a family member who can be… um… let’s just say difficult. The other day, I was looking at the new line from Cents of Style, and found an item that I knew this person would absolutely love. So I bought it to give to that family member. Even though I’m not always treated well, I wanted to do something kind… just because it’s the right thing to do. Will this act of kindness make a difference? Maybe? Maybe not? But sometimes always in life, doing the right thing is the right thing to do. It’s a journey for me, and it’s a journey for all of us. Let’s all work together towards sharing more love in this world. Love, hugs, and finding my zen. 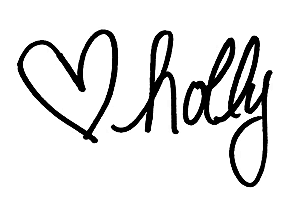 Holly , I enjoy reading your blog so much. I fully agree with Your blog dated February 18. Besides an app for the meditation , you should try happiness program from artogliving.org . This helped me a lot too. Holly, these are great practical tips. I see how too much news can really get me down and I have to be intentional about how much I let in. Prayer helps me a ton and I know exercise will too (haha). Just gotta get moving. Enjoyed reading your blog, I recently decided to write a note to a person who deeply hurt me in my professional work some 19 years ago, yes it still bothered me and I wanted to let it go, which I did! It was a freeing experience!!? Holly what a beautifully written post that is so full of truths. I used to carry around a lot of negativity in my life too. But it was taking a toll on me and I knew I had to find ways to let it go and move on. I have found that, to be positive, and always or at least as much as possible, to do the right thing and keep your heart healthy is definitely the way to go. Positive energy had definitley been a boost for me in healing a lot of my hurts and having a healtheir outlook on life. And as for that family member, as long as you are good on your end they will either loose steam and see your way of doing things, or they can be miserable by themselves! Thanks for posting this!! :).